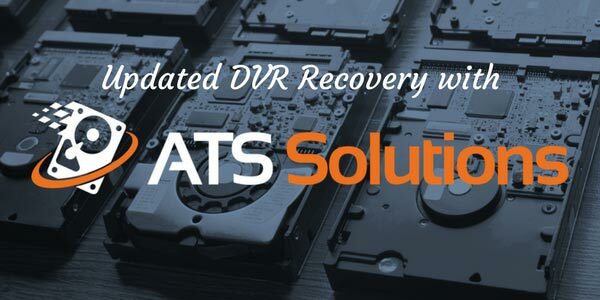 Updated DVR Recovery with Advanced Technical Services (ATS) - DME Forensics Inc.
From the beginning, DME Forensics has worked alongside our customers to recover critical surveillance data where DVR Examiner is not an option. However, over the past year we have worked to develop a new structure for our services department. We are excited to introduce the new DME Forensics Advanced Technical Services (ATS) department as your resource for recovery services from our expert team. Within our ATS department, we have decided to focus on our true passion and expertise — complex DVR systems. Sadly, this means we are discontinuing some of our previously offered services, such as audio and video enhancement. This opens our team up for focusing on DVR data recovery, as well as causality and consultation services for cases involving DVR systems. DVR Data Recovery: DME Forensics Advanced Technical Services makes it possible for agencies to recover evidence that may otherwise not be accessible. Whether the system is protected by an unknown password, is no longer functioning, or you are looking for video that has been deleted, our Data Recovery Services can identify the recoverable data and extract it using industry standard methods and tools. DVR Causality Analysis Services: In some situations, an investigator may want to know more about a surveillance system. While the investigator may not have the video to help demonstrate what happened, that DVR may still be able to help answer critical questions, providing additional insight into the investigation. Expert Witness Consulting: With the prevalence of video surveillance, it is more and more common for recordings to be utilized in criminal or civil court proceedings. If you are utilizing this evidence, or are opposing this evidence in court, it can be crucial to have the appropriate expert witness to advise you. The first step to starting your ATS project is to schedule a free consultation to discuss how we may be able to help your case, as well as answering any questions you may have about the process. For additional information about the services we offer, check out our new service brief or visit our ATS Solutions page.